Outdoor advertising in its many forms has stood the test of time as one of the most effective methods out there. Marketers have been making a lot of noise about digital in recent years, and with good reason. But this has not changed the central importance of outdoor advertising for reaching the public, building brand awareness, and driving purchase decisions. Outdoor advertising, also known as out-of-home (OOH) advertising, remains a core component of the marketing strategies of the world’s most successful brands, and for many small and medium enterprises too. The terms outdoor advertising and out-of-home advertising are obviously pretty broad. In fact, at first glance, the words ‘outdoor’ and ‘out-of-home’ might seem to encompass an endless number of possible locations and potential methods! 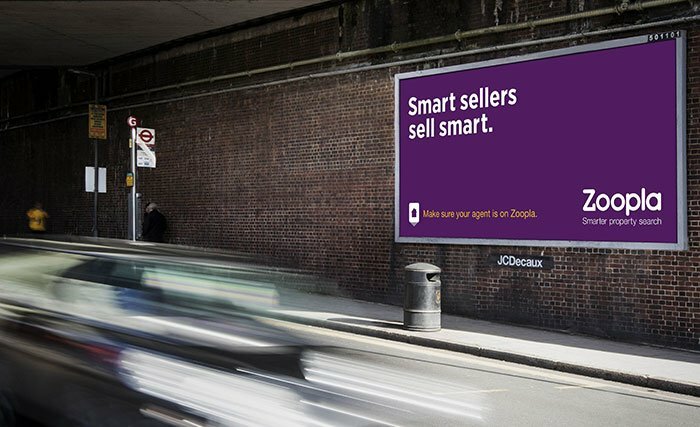 The reality is that there are a few tried and tested outdoor advertising methods that prove effective again and again. So let’s break it down and take a look at some of the most common types of outdoor advertising that are used today. Billboard advertising remains the number one example of outdoor advertising. The advantages of billboard advertising have been proven over the years. Fundamentally, it is the only advertising method that provides constant exposure. Once your billboard is displayed, it remains there day and night for anybody and everybody within the area to see. This makes billboards distinctly different from online, magazines, and TV which may only be visible for a few seconds. Billboards can even be backlit, meaning that ads can be visible in the dark. A method that has been proven over time by, it seems that few advertising methods will beat a well-positioned billboard advert that combines great creative with high-quality billboard printing. Street furniture advertising refers to the use of surfaces on all sorts of public objects for the placement of printed posters. 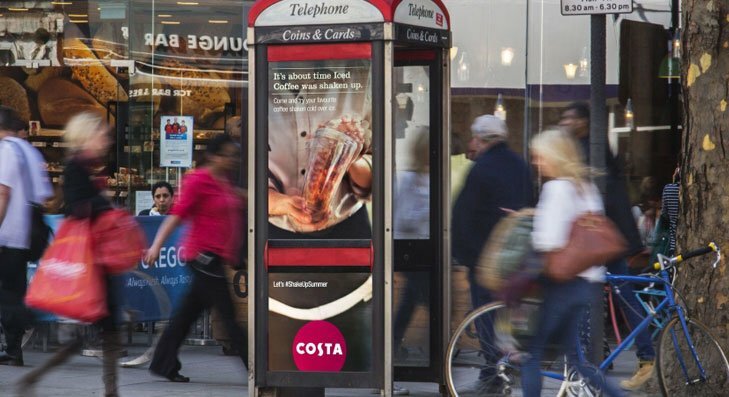 The most common locations for street furniture advertising are bus shelters, phone boxes, and dustbins – but the list goes on, and can include all sorts of other street objects. For many years, advertisers have taken advantage of these public spots to place eye-level advertisements. The sheer number and vast geographical spread of street furniture like bus stops and phone boxes means that wherever your business is based, and whatever audience you are targeting, there will probably be a suitable location for you to advertise in. While all street furniture advertising has the potential to attract the attention of passers-by, bus stops have the additional benefit of being places where people may idly wait, giving them plenty of time to notice your advert. Building wraps involve literally wrapping a space as big as a building in advertising images. With the potential for huge visual impact, building wraps are an incredibly powerful way of “hijacking” large spaces, and dominating a section of an urban landscape. When it comes to getting your audience’s attention in a public space, bigger is almost always better. Large format printing enables you to create displays that are so big they are almost unmissable. Site hoardings surround shops and buildings that are under construction, and can be a brilliant opportunity for hoarding advertising. Hoarding advertising enables you to transform an unsightly construction site by not just concealing it, but additionally turning it into a prime advertising space. With a bit of thought, site hoarding advertising enables you to play on the curiosity of passers-by and get them excited about the new development. Railing wraps are another similar method that allows advertisers to transform fences around car parks, construction sites, or storage areas into advertising space. Transit advertising most frequently refers to displays on buses, taxis, truck sides, and trains. It includes adverts that you display either inside or outside a vehicle. In the case of buses, ‘king’ and ‘queen’ signs refer to the big adverts on the side of the bus, tail signs refer to the space on the back of the bus, and interior cards are the smaller signs that are only seen by riders on the inside of the vehicle. In recent years, it has become increasingly common to take over a whole bus with an advert that wraps around the entire vehicle. Truckside advertising takes advantage of the large sides of trucks, which offer a sizable advertising space that moves all around the country. While the size of an advert on the side of a bus can look impressive, interior transit advertising should not be ignored. Inside buses and trains, you have a captive audience who are likely to see your ads repeatedly if they are on a regular commute. Use the opportunity to put together some entertaining creative that connects with them in the moment. Clean advertising, also known as ‘reverse graffiti’, is a relatively recent form of guerilla outdoor advertising that involves cleaning small sections of dirty pavements or walls, normally using stencils to create brand imagery or messaging. While some local councils have questioned the legality of this type of advertising when it has been used by private companies, others have harnessed it as a new way to communicate with the public. While slightly controversial, clean advertising is an outdoor advertising technique that continues to attract attention, and it is slowly growing in popularity. So now you know the types of outdoor advertising that are available, how are you going to make a knock-out out-of-home advert that wows your target audience? Here are three timeless tips that form the foundation of all effective outdoor ad campaigns. The number one rule of outdoor advertising is to keep your message simple. While outdoor advertising enables you to reach a large audience, you cannot take the length of their attention span for granted. Your message must be simple enough for people to understand it within a second or two, or they will ignore your advert, and your opportunity will be wasted. In all types of advertising, quality creative is more important than ever, and outdoor is no exception. Quality creative should be original, attention-grabbing, and memorable. With the vast number of adverts out there, it’s difficult to achieve this and stand out every time. But that’s not an excuse to rush over this vital component. Treat your audience’s attention as valuable, and publish adverts that provide some entertainment of aesthetic value. If you’re going to invest in prime advertising space, then it’s vital that you don’t fall at the last hurdle with a poor quality print job. Especially when it comes to wide format and large format printing, it takes expertise and experience to deliver brilliant graphics at scale. Make sure that your provider is using high-performance digital technology to ensure a quality outcome. Cestrian provides wide format and large format printing services for retail and outdoor advertising. Our extensive experience and state-of-the-art equipment have seen us deliver leading-edge quality printing for a wide range of clients. Browse our outdoor advertising services online or contact us for more information. KNOWLEDGE & INSIGHTS FROM CESTRIAN.